‘Jackmanii Superba’ has large rich dark purple flowers clothe this popular and reliable late-flowering clematis. The abundant blooms appear from mid-to-late Summer and look fantastic when grown up a trellis or wall. 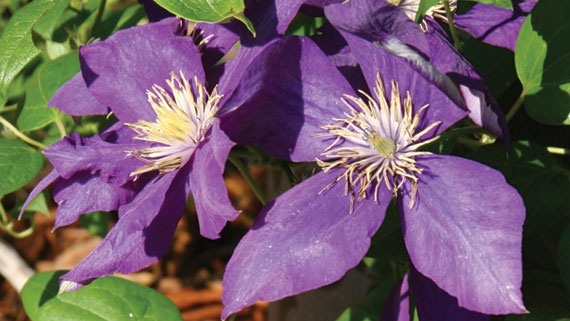 It is also a good clematis to grow through shrubs or trees as it is pruned right back and so never becomes too much of a burden on the supporting plant.